I gave this quilt to my son for Christmas. 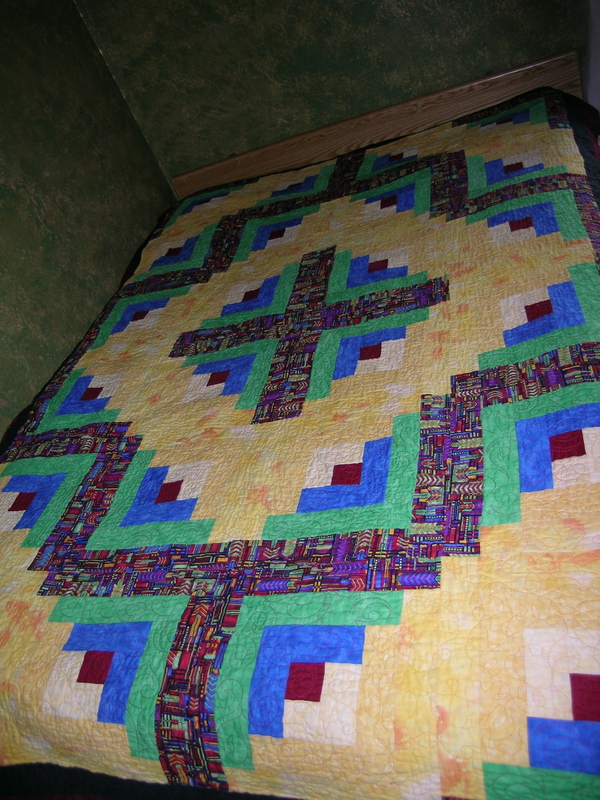 I had finished the piecing at least 10 years ago. 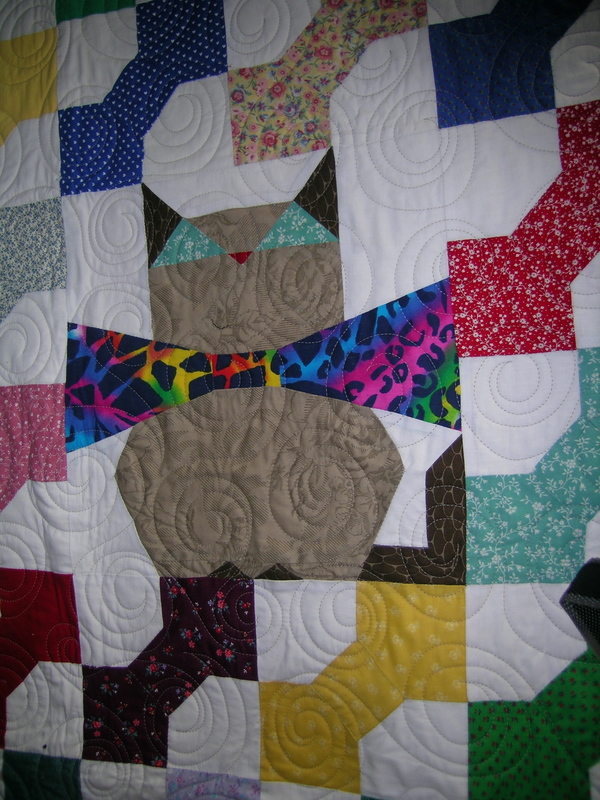 It is a bow-tie quilt, made with scrap fabric, and then has a large cat in the center. My son was obsessed with stuffed cats as a little boy, and had quite a large collection. In fact, when we were rearranging his room just before Christmas, we found a box with all of his cats inside. It was too cute. I pieced this quilt by hand. I tend to be a perfectionist, and like the exactitude that I can get by hand piecing. 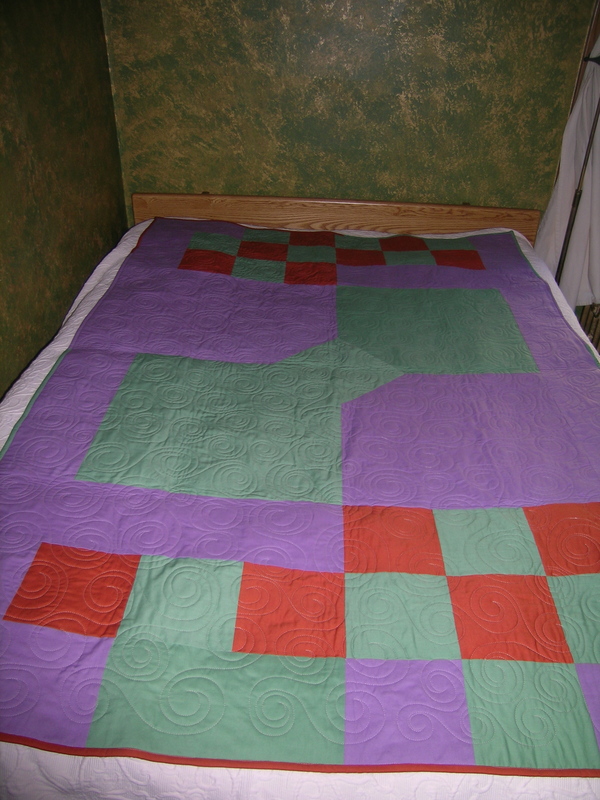 I had hand quilted 2 other quilts, and it is just not as strong. So, I had this packed away. Last summer when I was visiting my mother, she took me to the woman who does her quilting, and I dropped this and another quilt top off. While it is now too small for Ethan’s bed, it will be a good throw, or extra cover. 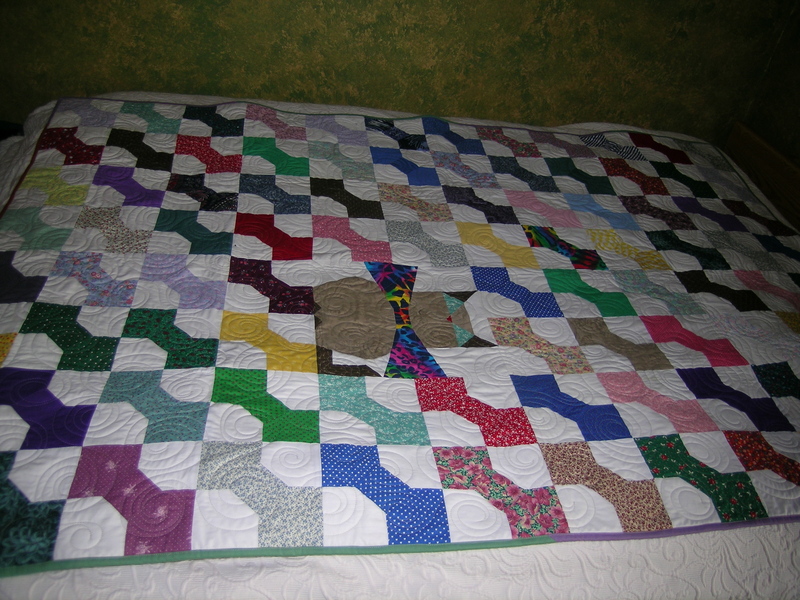 While I was at it, I photographed a quilt that my mother made for me a few years ago. 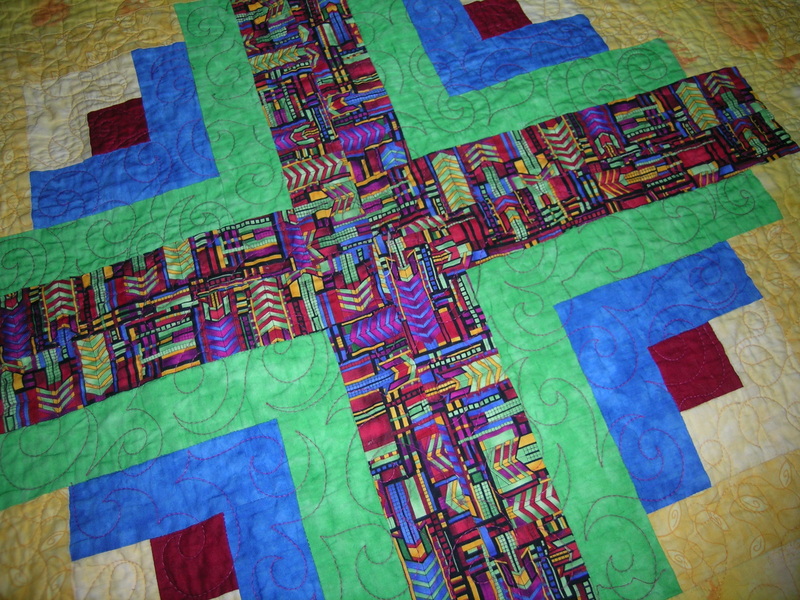 She found a fabric inspired by Frank Lloyd Wright, and used that as the starting point. I love the primary colors, and the log cabin is an appropriate pattern for me. Did you know that Frank Lloyd Wright’s son invented Lincoln Logs?